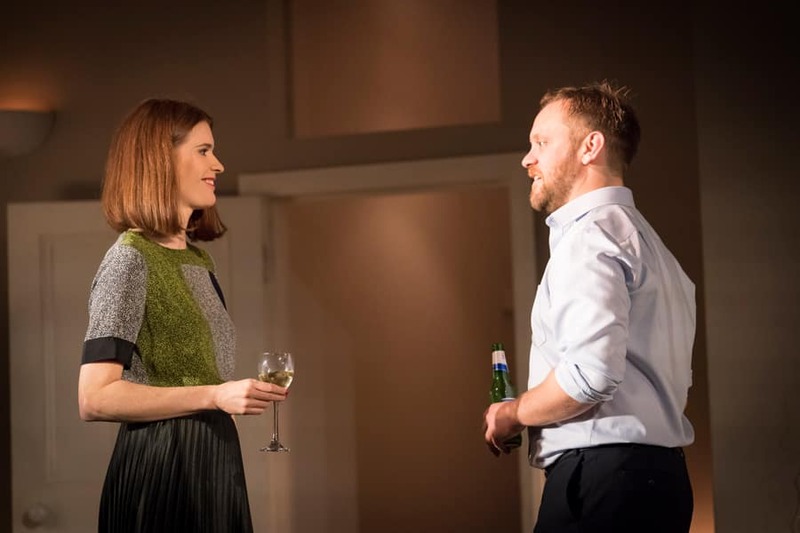 Following a critically acclaimed, sold-out season at London’s National Theatre, David Eldridge’s anti-romance Beginning will transfer to the Ambassadors Theatre for a limited 10 week run from 15 January 2018. Beginning is a tender and funny look at the first fragile moments of risking your heart and taking a chance. Reprising their highly praised roles as Laura and Danny, Justine Mitchell (Bodies, Royal Court; Mr Burns, Almeida Theatre) and Sam Troughton (King Lear, National Theatre; The Hollow Crown, BBC; and The Ritual), are directed by Polly Findlay (Limehouse, Donmar Warehouse; As You Like It, Protest Song and Antigone, National Theatre). Beginning is designed by Fly Davis, lightng design by Jack Knowles, sound design by Paul Arditti and movement by Naomi Said.